A beloved multidisciplinary treatise comes to Penguin Classics Since its initial publication in 1958, The Poetics of Space has been a muse to philosophers, architects, writers, psychologists, critics, and readers alike. The rare work of irresistibly inviting philosophy, Bachelard's seminal work brims with quiet revelations and stirring, mysterious imagery. This lyrical journey takes as its premise the emergence of the poetic image and finds an ideal metaphor in the intimate spaces of our homes. 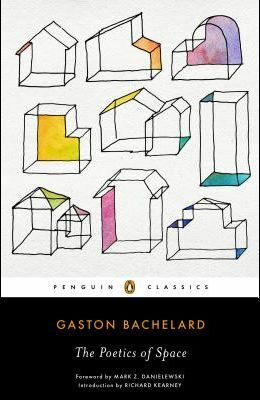 Guiding us through a stream of meditations on poetry, art, and the blooming of consciousness itself, Bachelard examines the domestic places that shape and hold our dreams and memories. Houses and rooms; cellars and attics; drawers, chests, and wardrobes; nests and shells; nooks and corners: No space is too vast or too small to be filled by our thoughts and our reveries. In Bachelard's enchanting spaces, We are never real historians, but always near poets, and our emotion is perhaps nothing but an expression of a poetry that was lost. This new edition features a foreword by Mark Z. Danielewski, whose bestselling novel House of Leaves drew inspiration from Bachelard's writings, and an introduction by internationally renowned philosopher Richard Kearney who explains the book's enduring importance and its role within Bachelard's remarkable career. For more than sixty-five years, Penguin has been the leading publisher of classic literature in the English-speaking world. With more than 1,500 titles, Penguin Classics represents a global bookshelf of the best works throughout history and across genres and disciplines. Readers trust the series to provide authoritative texts enhanced by introductions and notes by distinguished scholars and contemporary authors, as well as up-to-date translations by award-winning translators.